Almost any guide to search engine optimization (SEO) will bring up keywords, either in passing or as a piece of advice. Keywords are one of the basic cornerstones of an effective SEO strategy and the ability to maximize their effectiveness will be a large contributor to your business’s Google ranking. Of course, in order to actually devise SEO strategies involving keywords, you have to actually know what those keywords are in the first place. It can be easy enough to consider your own search habits when looking for common keywords; you’ve likely run searches for local businesses before, after all, or even looked up a business like your own in the past. These sorts of terms are a good starting point, but effective keyword research goes beyond the common search phrases. Such keywords are, after all, common, and you will have immense competition for what are ultimately general words. Here’s how to broaden your search in order to narrow the field. Google also tracks what topics are trending in various locations and on different subject categories. You can make use of this information to craft articles and other content pages that tap into what’s on the public’s mind during a given period. Google searches are increasingly tailored based on the person doing the searching; two people using the same search terms will not get the same results. The algorithms take into account location (if logged in), search history, frequently visited sites, and other elements when determining what is and is not relevant for the links Google decides to show. This has three important meanings. The first is that vague terms like “pizza” or “hotel,” while still highly competitive, are more likely to pit you against more geographic competitors rather than those in, say, another state. The second is that local search keywords are increasingly important. A local search keyword is any search phrase denoting a location such as town, street, or landmark. “Bistro in Orange County” is one, but so is “bistro downtown Orange County” or “bistro near subway” or even “bistro by Central Park.” Determining what local keywords you can capitalize on not only expands the number of terms people can find you with, but also advertises your location to Google so that the algorithms are more likely to bring your web site up when someone does a search without using local keywords. The final takeaway is that search rankings, while still important, are not quite as significant a goal as they once were. Your business’ positioning could change depending on which set of keywords are used, the order they’re used in, and the personal history and location of the one doing the searching. Although getting on the front page of results is always helpful, once that happens, it can make more sense to pay attention to what drives traffic rather than what drives your ranking. As mentioned above, a good first step is to brainstorm the “high level” words and phrases used to describe your business. These are general things like “bistro,” “hotel,” or “hair styling.” Creating a list of 10–50 keyword possibilities is a great way to begin developing keyword-focused SEO strategies. Next, consider keyword modifiers. These will be slightly narrower, but more descriptive than the high-level keywords. They’re useful for attracting customers with specific interests as well as common-but-longer searches. Modifiers include elements like descriptive terms (“cheap/affordable,” “fast,” “best”), specific forms of the product or service (“banquet,” “tulips,” “mountain bike”), and phrases that people would use to find services or features that could set you apart (“pet-friendly hotel,” “delivery restaurant,” “overnight delivery”). Mix and match the keywords you come up with to develop different search phrases. The word-for-word phrase does not need to appear in your content to register for the result, but the different terms should appear close together. Lastly, find your local keywords. As mentioned above, these are location-based terms. Keep in mind not only your own location, but also where parts of your customer base could be located. Let’s use the example of a restaurant that offers delivery. The obvious local keywords would be the restaurant’s city, neighborhood, main intersection(s), and any nearby landmarks. However, this restaurant is likely capable of making deliveries to other neighborhoods and maybe even adjacent towns depending on how close it is to the border. The use of these extra locations expands the local “bubble” that the restaurant can use for keywords. Coming up with keywords and phrases is just the beginning. Next, you need to find the relative ranking of each term so you know which ones to focus your efforts on using. Once that’s accomplished, you also need to craft quality content that can integrate the chosen keywords. This last part is tricky, not only because quality writing can be difficult, but also because keyword integration has to be done carefully. Net-savvy readers will pick up when someone is trying to seed keywords on a page and it can lower your site’s credibility. This is why companies like Numero Uno Web Solutions exist. We not only parse the data to find the most effective keywords for your business, but we also develop comprehensive SEO strategies to capitalize on them through quality content and web design. Our techniques and expertise have helped businesses of all sizes and across many different industries. 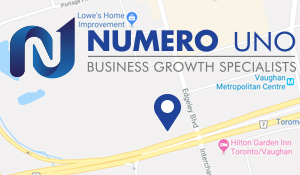 To learn more about different methods of SEO or about how Numero Uno can help you attract customers and grow your business, check out our web site here.